If your family enjoys fruit salads or sweet summer treats, you should probably add watermelon to the grocery list. Dubbed “nature’s candy,” watermelon hits the trifecta: nutritionists, dietitians and children adore it. 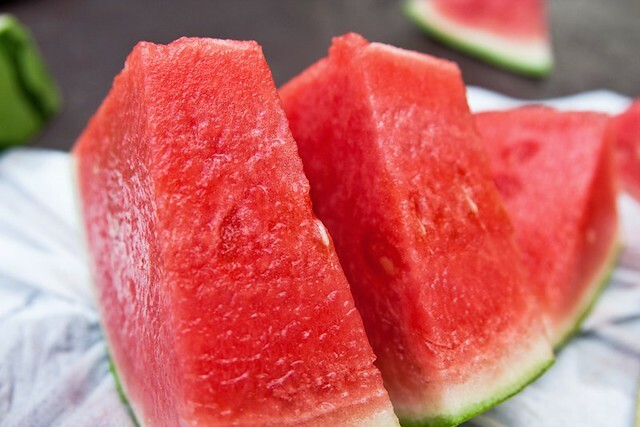 Watermelon is said to boost self-esteem and jumpstart the immune system through at least three different vitamins. When I was pregnant with my first child, it was a rough time for my appetite. 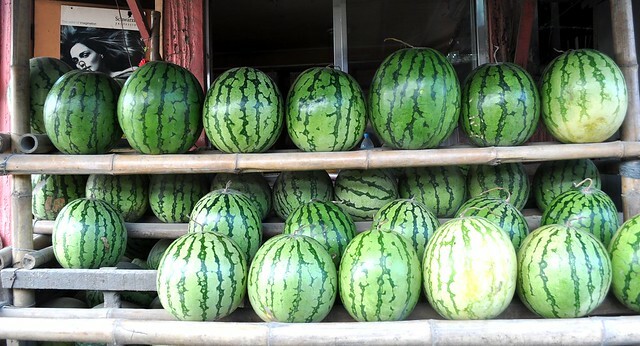 In the first trimester, I visited the States and the neighbourhood grocery store stocks freshly cut watermelon. Needless to say, I ate a pound a day. It was great to restore electrolytes and keep me hydrated when food and I were on the outs. Vitamin A supports healthy eyes and stimulates the formation of white blood cells, which fight infection. The juicy fruit helps your immune system produce antibodies via Vitamin B6. And Vitamin C protects the body from harmful free radicals. Try out one or both of these fresh watermelon recipes for summer. They’re simple, kid-friendly and perfect for barbecues, picnics, or just lunch. 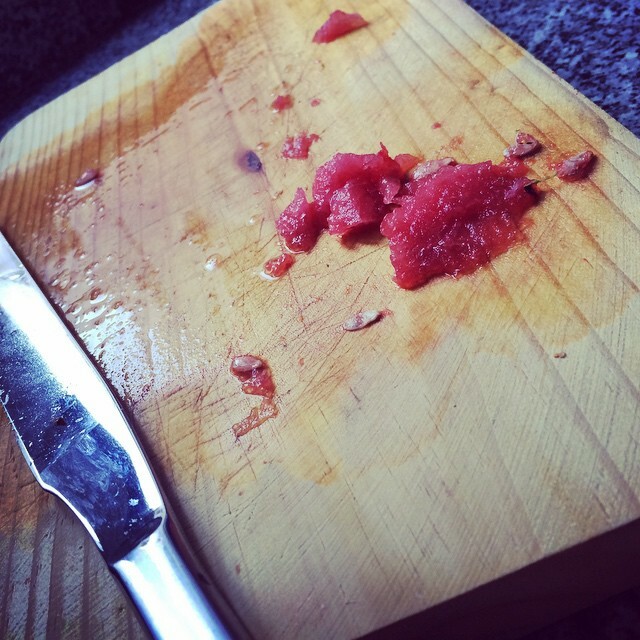 For more delicious watermelon recipes, visit www.watermelon.org. Stir together watermelon, celery and grapes in bowl. Just before serving, stir salt into yogurt for dressing. You may want to add a little water to lighten the thickness. Pour mixture over fruit and stir until coated. Sprinkle with almonds. For an easy, fun take on the yummy watermelon slice, insert a popsicle stick into the rind! It makes clean-up a breeze — especially for kids. You can also freeze the slice popsicles for a refreshingly chilly treat.